After the basic functionality has been implemented (see my previous post about the doorbell project), the next step of the doorbell project is to implement the Ethernet shield TCP/IP functionality with some extra features, such as NTP time synchronization, logging of doorbell events in an SQL server and a telnet service that allows to control the doorbell. One could for instance think about an API that makes the doorbell ring for incoming Skype calls. // Enter a MAC address for your controller below. The Wiznet chip on the Ethernet shield is a pretty nice chip, it does a lot automatically for us. The only thing we have to do is set up the MAC address, you can make up something like in the example or you can find a MAC address on the label on the shield. Furthermore in my example I chose to have a static IP address. DHCP is real easy too: just call Ethernet.begin(mac), so without ip-argument. NTP: This code is readily available as an example in the Arduino IDE, but need to be changed a little. We basically don’t want to bother about the time synchronisation and let it happen automatically. 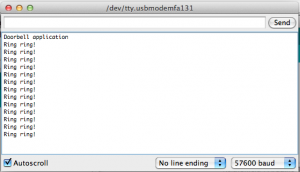 Arduino offers this functionality via SetSyncProvider and SetSyncInterval functions. SetSyncProvider requires an argument that points to a function that returns the time in unix format (the seconds that have passed since 1 Jan 1970). SetSyncInterval requires an argument the number of seconds between each call to the sync provider function. From the NTP sample code I took parts of the code. Note that 7200 (2 hours) is adjustable to anything you desire. 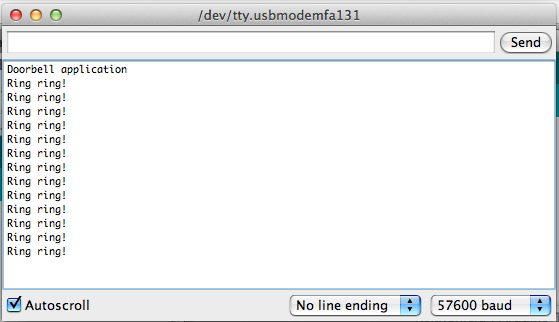 Logging: Now that we have TCP/IP set up logging is fairly easy, especially from the Arduino side. At my home I have a NAS from Synology. 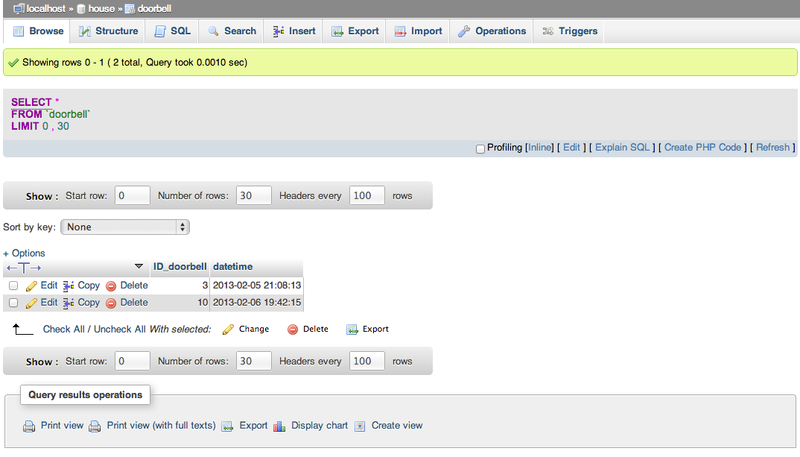 Pretty much out of the box you can run a Webserver with PHP and MySQL. A PHP-file is a script that is runs on the Webserver when somebody makes a request to the PHP-file. The PHP script usually does a couple of things in the background and produced HTML-code. In our case the script will connect to the MySQL database and make an entry to a table that captures doorbell events. 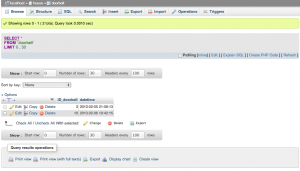 The design of the SQL table is simple, it has two fields: a primary key (unique identifier) and a timestamp which records the time of the event. Note: I have not tested this function for robustness, but it worked just fine. Avoid time consuming loops (while) and delays (delay) in loop(), use if and millis() so you can do other things in between. But how will we handle loops then you might think. Well that’s fairly easy when you consider that the loop() function is a loop in it self. 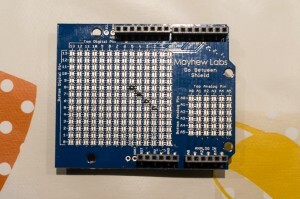 so imagine about a project that involves two LED’s (with resistors) connected to analog ports of the Arduino board. without using for or a while loop you can fade them seperately. This code handles two tasks at the same time, in a single cycle it sends a new value to each LED and increments the value that is send to the LEDs for the next cycle. This is in essence a multitasking program! Back to the doorbell project, the idea is that a telnet service is available on the Arduino board. the Arduino would greet you with a welcome message and you could start typing a sequence of rings and pauses that you want to be played by the doorbell. The Arduino would check the sequence and reply with an acknowledgement or a negative acknowledgement. When acknowledged the doorbell would start right away playing the pattern. Below you find the code to this multitasking service. In the code you will see that I defined different states that can be reached, to make this primitive multitasking as fair as possible I ordered the states in the reverse order. This means that in one cycle only one new state of the telnet TCP service is handled (except for the situation when the user disconnects). Note that this code makes use of only the piezo speaker for the telnet service, else it drives people mad in the house. I use SVN for version control, soon this blog will be updated and you can checkout the code from there. // when the doorbell button is pressed. srv_state = STATE_DISCONNECTED;  // set the appropriate state. srv_state=STATE_DISCONNECTED;  // Was the connection dropped intermediate? I use SVN for version control. you can checkout the code soon from there. My doorbell rings. 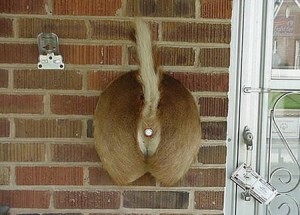 That is what doorbells do. When it rings, it is mostly annoying, unless it is the pizza guy delivering a pizza. Some people ring the doorbell for several seconds or press it a couple of times, thinking that it makes people answer the door quicker. I just find it annoying. A simple solution would be to turn off the doorbell by installing a switch but for me that is way too simple; moreover you could forget switching the doorbell on again. Doorbells on the market that can be switched off or play a nice melody are vastly overpriced. Very often these are also wireless doorbells, leaving the wired system unused, which means that you have to give up the old doorbell, which is unlike the wireless one, maintenance free. In my most creative moment I thought about creating a controllable doorbell with logging facility. The doorbell would ring briefly even if somebody presses it for 2 seconds, it should be silent at given hours and any doorbell button press would be logged into a database. Also the doorbell could ring on other sorts of activity, for instance when somebody wants to Skype you, when an email arrives or something else that’s important. The answer to it is Arduino. The Arduino UNO that I have is ideal for this task. My last (and first) Arduino project was to pick up the DCF77 signal and get the time from the atomic clock. Basically the DCF77 signal is not necessary for the project, but the shield that I created for it has some room left which can be used to connect the doorbell switch and another peripheral like a piezo speaker. The piezo speaker will be nice for testing purposes. To really make this work the schematics of the current doorbell needs to be studied, I just looked for schematics on the Internet. The doorbell is connected to a power supply providing 8 Volts AC to the doorbell. In order control the doorbell separately from the doorbell switch the circuit has to be changed. Where now the doorbell switch is, the Arduino should be placed. 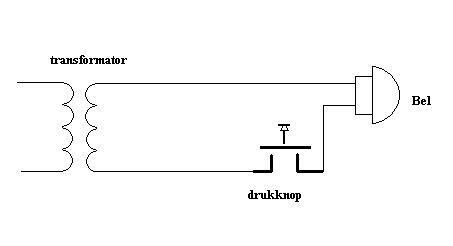 A second circuit with the Arduino and the doorbell switch has to be created as well. 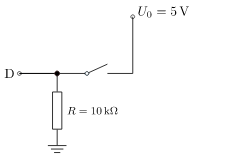 The Arduino cannot handle AC power, also the current is around 1A, this is nothing for the senstive PINs of Transistor-transistor logic! The DFRobot relay shield seems to be able to do this task. It has four relays, so actually a little bit overkill. The DCF77 is connected to pin 2, this is nice because we can attach an interrupt to it, which simplifies the code. Another interrupt can be attached to pin 3, so it seems good to connect the doorbell switch to that pin 3. 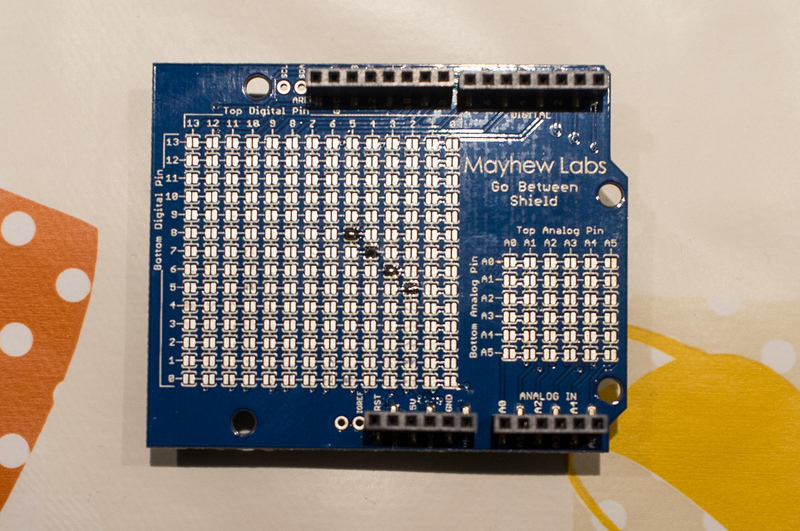 The other boards also require some PINs and this leads to some interesting conflicts! The only thing that now matters is the order of how the shield are stacked. The relay shield is on top, straight after the “go between” shield and after that either the Ethernet shield or the DCF77/piezo/doorbell switch shield. Hardware wise we are almost there, I attached a pull down resistor of 10K between PIN 3 and GND, the doorbell switch is placed between +5V and PIN3. The purpose of the pull down resistor is that in case the doorbell switch is open the remaining current or noise is burned and no tri-state occurs. 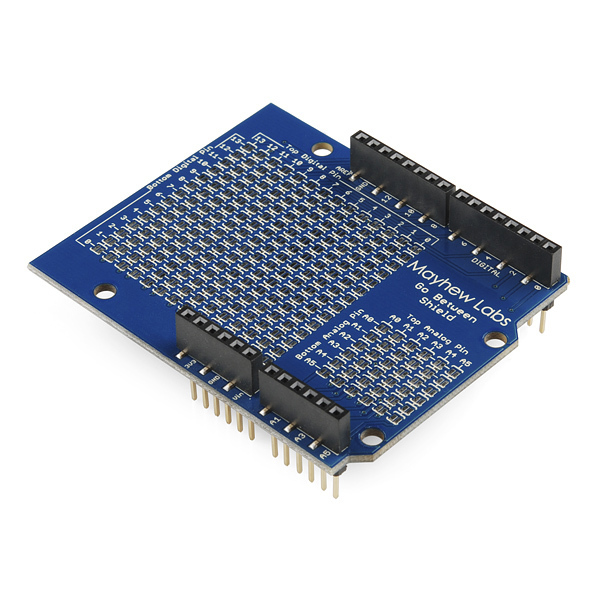 Tri-state means that the state of the PIN 3 would be floating and the Arduino would not be able to determine the right state (which is 0). Now when I press the doorbell I can monitor the serial monitor and see something happening! During this first test I noticed that sometimes pressing the doorbell switch caused the interrupt routine to be called twice, this is because one may press the switch halfway or it is caused by dust / debris in the switch. The ‘noise’ can be filtered with a small capacitor in parallel with the switch, but I decided to resolve this in software. I came up with the following solution, which also prevents multiple rings when people are impatient. The DOORBELL_TIME define is 5000, which means 5000 milliseconds, so the doorbell is only allowed to ring once every 5 seconds. the interrupt service routine is now called intDoorbell (before it was declared as ring). update: I also noticed phantom doorbell interrupts, the doorbell would ring when nobody pressed the doorbell switch. It happened when somebody was touching metal in the proximity of the doorbell-switch or when somebody was switching on the light in house. To prevent this I added a delay of 50ms in the interrupt service and read the digital pin again. 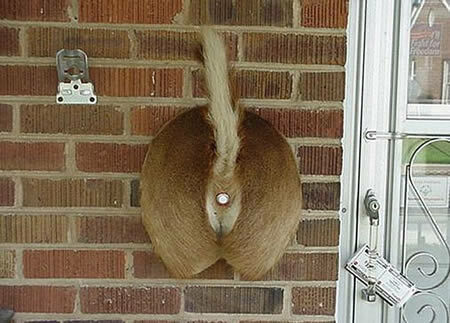 if it is not high anymore nobody pressed the doorbell and this was just a spike. This is called debounce, here you find an article about it. A hardware solution is on the way. I declared a global variable handle_ring, the variable indicates that somebody pressed the switch, but only when meeting the criteria that a given time have passed since the last time the doorbell was pressed. It is good practice to keep interrupt service routines as short as possible, so business as usual can continue. the handle_ring variable is now handled (and cleared) by the loop() function. 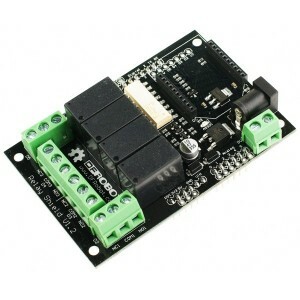 Oh before i forget, I bought my Arduino hardware at iprototype.nl and floris.cc. The DCF77 receiver I bought via Conrad. Special thanks to Frans Goddijn for some editorial work! 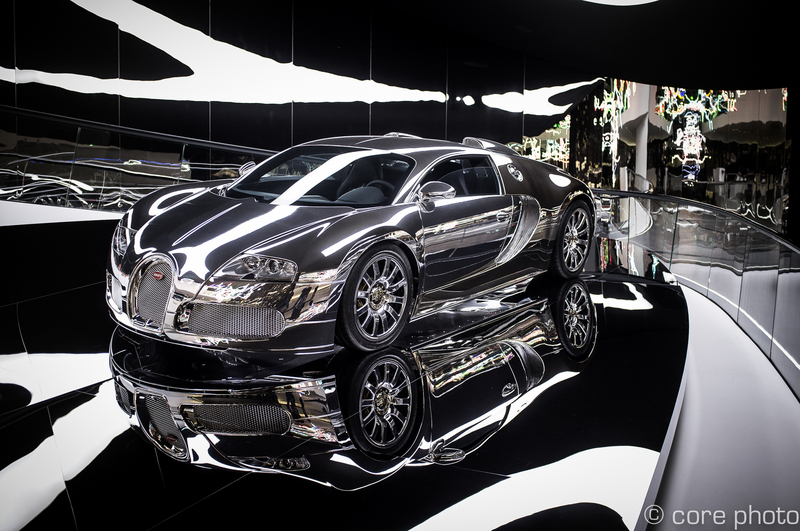 Dit is de Bugatti Veyron, zoals te zien in Autostadt van Volkswagen in Wolfsburg. Ik maakte de foto met mijn Fuji X100. In 1988 toen we onze eerste video recorder kregen vond ik op een VHS tape een programma over Bugatti. Ik kende het merk van naam maar verder niet echt. De tape herinner ik me nog goed, er was een man die bij het horen van de naam Bugatti begon te huilen. Gelukkig heb ik hem nu terug gevonden op youtube. Copyright © 2013 Corephoto. All rights reserved.